Gaborone is an energetic and inviting city that is bursting out of a nutshell. The tolerant mind-set of Gaborone originated from the gathering of the many different cultures and the thousands strong individual minds. The beautification of the edginess inspires, provokes opportunities and creates an intersection where two extremes meet each other and therefore become inexpressible. Botswana, Namibia, South Africa, Zimbabwe, Angola, Zambia and Mozambique were the invited countries who participated in the AUSC Region 5 Karate Championship. Gaborone, capital city of Botswana, hosted the tournament on 24 – 26 May 2018 at the Boipuso Hall, Fairgrounds. The Boipuso Hall, also known as Botswana International Conference and Exhibitions Centre, is a multi-purpose arena and can accommodate 12 000 spectators. The Boipuso Hall can accommodate 2000 spectators. Overall South Africa did extremely well. 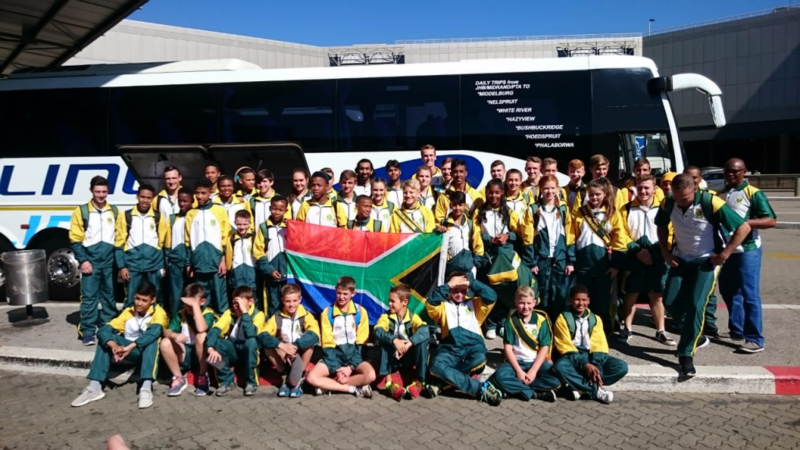 South African karate shone in Gaborone as our participants displayed a high standard, good karate and competitiveness throughout the tournament. 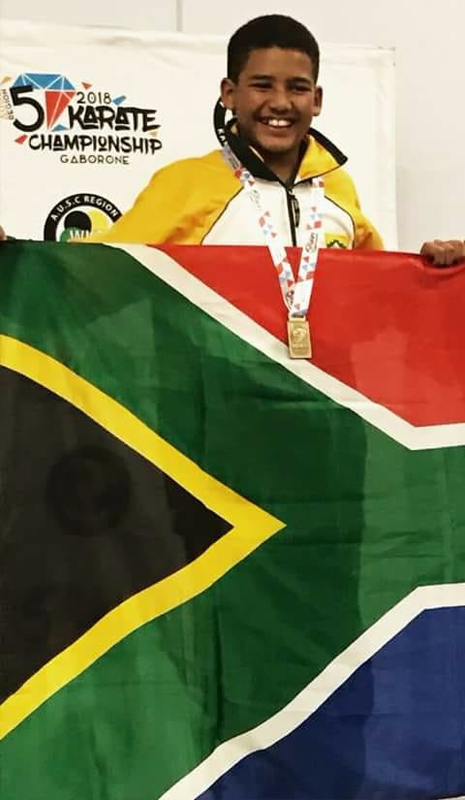 South Africa was represented by 51 competitors all over the country, and received a total of 6 gold, 2 silver and 3 bronze medals in the kata division. In the kumite division we received 12 gold, 17 silver and 4 bronze medals. Overall South Africa received 44 medals and placed third in the AUSC Region 5 Karate Championship. Botswana, the overall winner won 95 medals and Namibia, who came second won 68 medals in total. Out of the 51 competitors, Solis Ortus had 2 participants who represented South Africa in Gaborone. After getting on the City Liner on Wednesday late morning, they left for the border and got safe and sound in Gaborone after a long 9 hour trip. 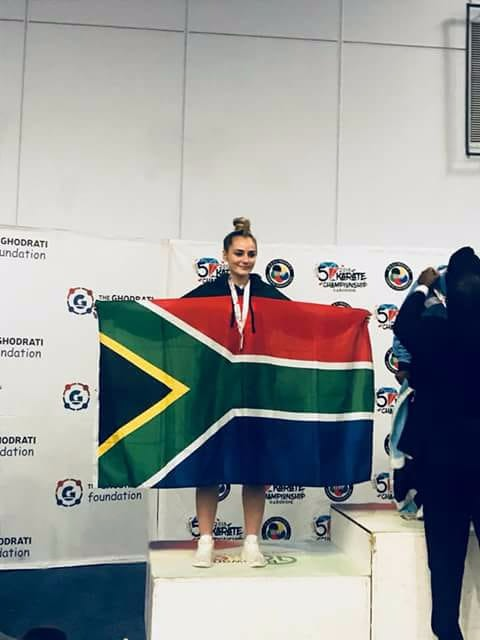 Solis Ortus is extremely proud of Savannah Hauser who received a silver medal and Thirq du Preez who received a bronze medal in kumite. These two karatekas showed exceptional sportsmanship and good karate etiquette. This trip developed your character as karatekas, introduced you to the virtues of team spirit and teaches you to be humble in victory. All your hard work paid off and you came home victoriously. Celebrate your successes, embrace it and grow into it as humble karatekas. You both reflected this quote excellently. Well done, and good luck for your next tournament.